Getting involved with the Wildflower Society will give you direct access to an unmatched, independent depth of technical knowledge of WA’s wildflowers based on the work of its members and activities of its branches. We are well known for running events that provide massive value and are greatly enjoyed. 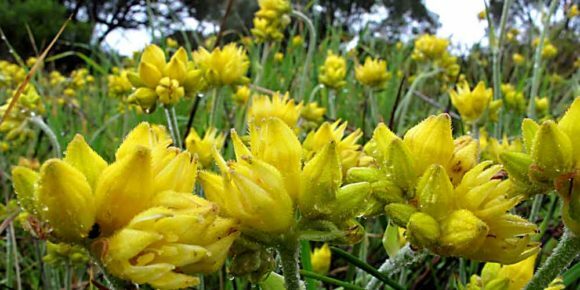 These events are an opportunity to soak up the fantastic knowledge of members who love to share their passion for Western Australia’s wildflowers. Importantly, the events provide you with endless opportunities to get out and enjoy the wonderful beauty of Western Australia’s wildflowers. The Wildflower Society currently has eleven branches across the South West of Western Australia. Most have monthly meetings and activities. See our Events Calendar and join us. The Wildflower Society of W.A. believes that the conservation of our remaining bushland heritage is of paramount importance. The philosophy of conservation of the beautiful and unique wildflowers of the West is encapsulated in our ten principles of flora conservation: Principles of Flora Conservation. A short History of the Wildflower Society of Western Australia.